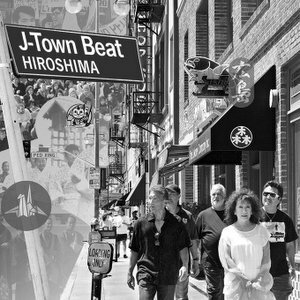 Colin Marshall sits down in Los Angeles’ Little Tokyo with Dan Kuramoto, founding member of the band Hiroshima who have now played for 40 years and recently released their 19th album, J-Town Beat. They discuss what he sees around him in the Little Tokyo in transition today as opposed to the one he grew up in 40 years ago; what it means to play “Los Angeles music” in this multi-ethnic city; how the band’s koto player June Kuramoto learned her classical instrument while growing up in a Los Angeles black ghetto; the question of whether you can build a modern, western band around the koto, which Hiroshima has always tried to answer; how musical traditions with deeper roots cooperate better together; making their musical mixtures work as, in microcosm, making America work; making the still mutable Los Angeles work as, in microcosm, making America work; his time as an Asian-American Studies department chair at CSU Long Beach, and what he found out about Japanese-Americans there; music as a “way of healing” from the self-hate he once took from the media; his lunch with Ridley Scott and Hans Zimmer; how it felt to become part of a group considered “the bad guys” again in the 1980s, just as Hiroshima really took off; the band’s first trip to Japan, and the visceral feelings it brought about; the universality of craft as an integral part of Japanese identity; the difficulties companies have had categorizing Hiroshima, and the special problems of the “smooth jazz” label; his lack of desire to play music for secretaries who just need their afternoons to pass more quickly; how they honed their chops in the Los Angeles black communities, and how black radio gave them their first big push; and the composition and meaning of the striking cover of their second album, Odori. This was written by Colin Marshall. Posted on Friday, February 7, 2014, at 6:33 pm. Filed under Los Angeles, Notebook on Cities and Culture. Bookmark the permalink. Follow comments here with the RSS feed. Post a comment or leave a trackback.